A simple travel game by Chand Games using cling fast pieces! 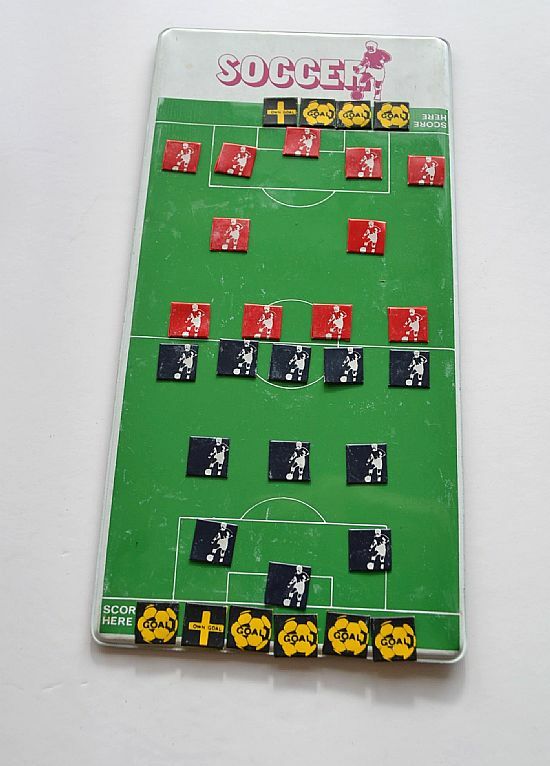 Simpley draw the pieces out of a bag - either complete a player for your team or score a goal. 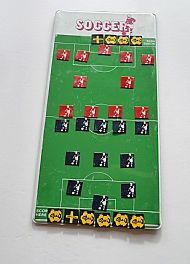 Game ends when the first team is completed. 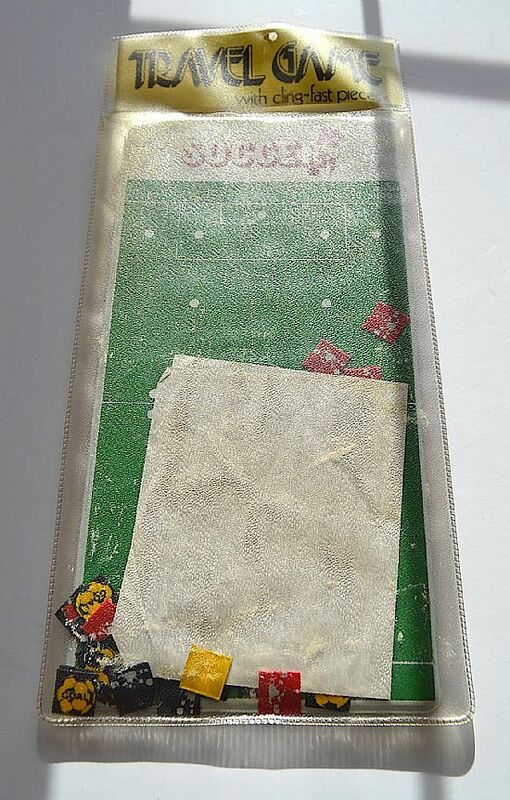 Nice old plastic game, travel sized fun on the go! 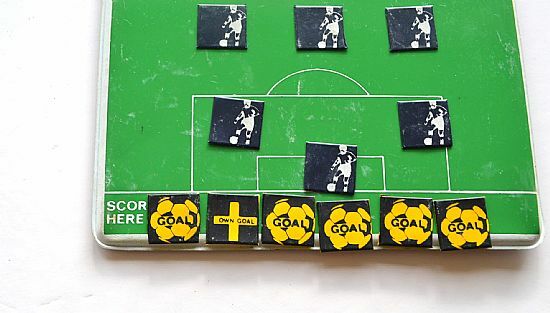 Plastic pitch and cling fast players and goal markers. 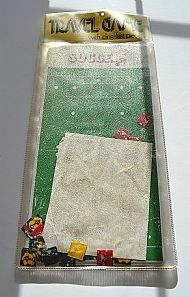 Comes in its own sleeve with instruction sheet and all playing pieces.